Gardening is one of those seemingly eternal pursuits which reconnects us to the ancient days of humanity, where cultivating the land was a way of life for the vast majority of people, and gave rise to the dawn of civilization. Today, most of us are disconnected from the natural cycles of the world around us and have little if any idea of what it takes to make things grow. In spite of that — or perhaps because of it — gardening is a hobby which everyone can benefit from, sometimes in profound ways. 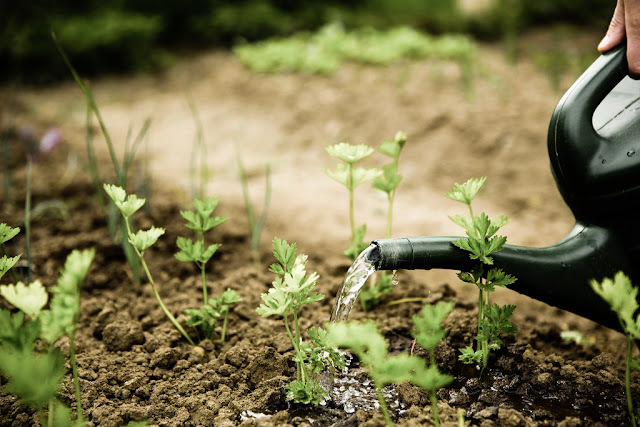 Here’s a look at some of the life lessons we can learn from gardening. Everyone understands cause and effect on some level, from the first time we tried to touch a hot object as a child and scolded ourselves, or did something naughty and got punished. But while we all understand on an intuitive level that every action has its consequence, we can often drift away from this understanding over the course of our daily lives, as we space out and let things run on autopilot. It’s often this kind of spaced-out apathy and inattentiveness that results in problem behaviours like impulse buying. Gardening forces us to confront this primal truth in a visceral way, and serves as a constant reminder of it. Leaving the garden unattended will result in it being overgrown with weeds. Tending to young saplings leads to trees one day rearing up from the earth. It’s been said that it takes years to create something beautiful, and only seconds to destroy it. In the fast-paced and industrialised world we live in today, we all tend to fall victim to instant-gratification thinking and impatience at one point or another, and lose our reverence for the natural process of creation. Gardening intimately reconnects us to the understanding that creation takes time, investment of energy and care, and nurture. It teaches us to take pride in our projects and approach them with patience, and not to be overly hasty in our interactions with the world around us. In an increasingly complex world, working a small patch of soil and taking pleasure in making things grow is a great reminder that we can, and should, find joy in the simple things. With the abundance of well-advertised and ornately packaged and presented gadgets on offer for our amusement, not to mention the enormous range of entertainment media that we have access to at any moment, distraction comes easy. And with the elaborate world of celebrity culture which makes its way into our awareness through our televisions, magazines and computers on a daily basis — and which sells us the vision of a world of opulence and luxury — it’s easy to become greedy and crave more. Gardening shows us a way to feed our sense of fulfillment without needing to get lost in the rat race. Even if we invest in the best cordless string trimmers and high-end trowels, we’re still engaged in a fundamentally simple activity.